“What they went through was just incredible. 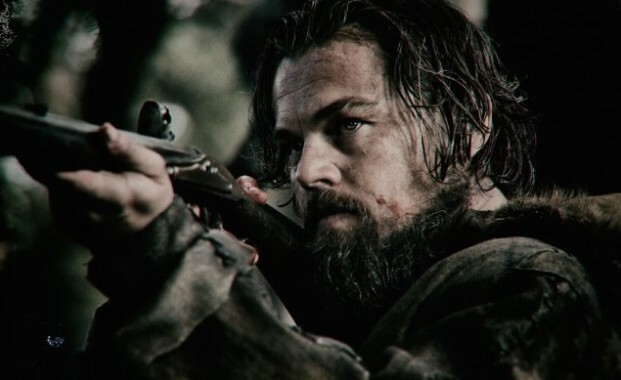 I’d watch for hours as Leo was just laying submerged in an icy river,” says screenwriter Mark L. Smith of his time on the set of The Revenant, the film about the true story of 19th century fur trapper Hugh Glass. “It was miserable at times for people, but I do think it served the film well,” Smith says. He’s referring to the harsh conditions lead actor Leonardo DiCaprio, who plays Glass, the other actors, crew and director Alejandro Inarritu undertook to make the film. Inarritu filmed using natural light and minimal green screen and computer graphics. Many battle scenes and icy hikes through remote woods were filmed on location in Canada. But before the harsh filming conditions became the focus of The Revenant’s production team, Smith had the daunting task of adapting a story that uses minimal dialog and a time period that isn’t widely written about. “Probably the toughest part for me was the stretch of film where there are no words because every move is so vital. You can have no wasted action,” he says. Smith wrote about 15 drafts of the script which includes a ferocious bear attack, Glass being buried alive and intense battle scenes. And what has Smith taken away from this experience? “If you’re going to go jogging or hiking in the woods, make sure you take a friend and that friend runs slower than you…” he says. No Replies to "THE REVENANT, a harrowing thriller from screenwriter Mark L. Smith"